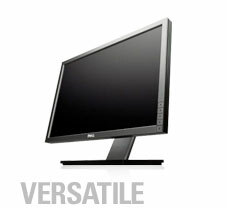 Shop Dell‘s Thursday-only sale! $599 Vostro laptop and $399 Vostro desktop with 18.5″ monitor. Enter coupon* code 47XR?F955NJR13 at checkout. You are subscribed as: Email-Gallery.com. Offers subject to change, may not be combinable with other offers. Taxes, shipping, handling and other fees extra and not subject to discount. U.S. Dell Small Business new purchases only. LIMIT: VOSTRO — 5 ITEMS PER CUSTOMER, ALL OTHER ITEMS — 5 DISCOUNTED OR PROMOTIONAL ITEMS PER CUSTOMER. 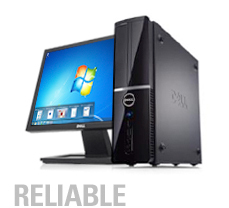 Dell reserves the right to cancel orders arising from pricing or other errors. A 64-bit operating system is required to support 4GB or more of system memory. Significant system memory may be used to support graphics, depending on operating system, system memory size and other factors. One coupon per customer. One time use only. Non-transferable. Limit of 5 promotional items per customer. 15% Stackable on GPS, Networking, unlocked SmartPhones and the following Dell Flat Panels: E1910H (320-8152), E2010H (320-8245), E2210H (320-8241), E2310H (320-8243), G2410 (320-7956), P2010H (320-8321), P2210H (320-8323), and P2310H (320-8325). 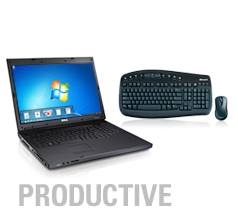 Excludes: Belkin Products, Gaming, VOIP, Video Conferencing and all other products. Intel, Intel Inside, Intel Inside logo, Intel Core, Intel Centrino, Intel Centrino logo, Celeron, Intel Xeon, Intel SpeedStep, Itanium, Pentium and Pentium III Xeon are trademarks or registered trademarks of Intel Corporation or its subsidiaries in the United States and other countries. Microsoft, Windows, Windows 7, Windows Vista and Windows Vista Business are either registered trademarks or trademarks of Microsoft Corporation in the United States and/or other countries.